Provide comfort for the family of Betty Fulmer with a meaningful gesture of sympathy. Betty Ann (Orebaugh) Fulmer, 85, of Greenwood, IN passed away Sunday, April 14, 2019 at Indiana University Health Methodist Hospital in Indianapolis, IN. She was born February 7, 1934 in Beech Grove, IN to Raymond and Maggie (Gadiant) Orebaugh. She married Merrill Lester Fulmer on July 25, 1952 in Camby, IN, he preceded her in death on February 3, 2019. She had worked at the Justrite Restaurant in Whiteland, IN and the H. Salt Fish & Chips Restaurant in Greenwood, IN for many years. She also had been a baby sitter for many children in the Center Grove community. She was a member of Bluff Creek Christian Church in Greenwood, IN where she was a member of the U N I Sunday School class. She was also a member of the Bargersville Order of the Eastern Star. She enjoyed crocheting, needle point, crafting and especially cooking and baking for family and friends. She and her late husband Merrill enjoyed fishing and spending the winters in Ft. Myers, Florida. Survivors include her son Carl Merrill Fulmer and daughter-in-law Peggy Ann (Findley) Fulmer of Greenwood, IN; a daughter Donna Lynne (Fulmer) Lucas of Greenwood, IN; four grandchildren Andrew Fulmer (Crystal Carson Fulmer), Ryan Fulmer (Crystal Walthall Fulmer), Matthew Lucas (fiance’ Kristin Maggard), and Casey Lucas; nine great-grandchildren Drhea Carson (Joey Collier), McKenzie Carson, Chris Fulmer, Joey Fulmer, Addyson Amick, Cohen Fulmer, Ella Fulmer, Elijah Fulmer, and Elias Lucas; and a great-great-grandson Memphis Collier; one brother George Orebaugh of Mooresville, IN; two sisters Thelma Hale of Greenwood, IN and Cora Thomas of Coatesville, IN. She was preceded in death by her parents Raymond and Maggie Orebaugh; her husband Merrill Lester Fulmer; two brothers Raymond Orebaugh Jr. and Ray “Buddy” Orebaugh; three sisters Joann Oakes, Vivian Manuel, and Elnora “Sissy” Blunk. Pastors Stan Icenogle, Ryan Fulmer, and Lee Ladd will conduct a service on Thursday, April 18, 2019 at 10AM at Swartz Family Community Mortuary and Memorial Center, 300 South U.S. 31 (Morton Street) in Franklin, IN. Friends may call Wednesday, April 17, 2019 from 4-8 PM at the mortuary. Burial will be in Forest Lawn Memory Gardens in Greenwood, IN. Memorial contributions may be made to Wounded Warrior Project, P.O. Box 75817, Topeka, Kansas 66675-8517 or at www.woundedwarriorproject.org. Online condolences may be sent to the family at www.swartzmortuary.com. Information at 317-738-0202. 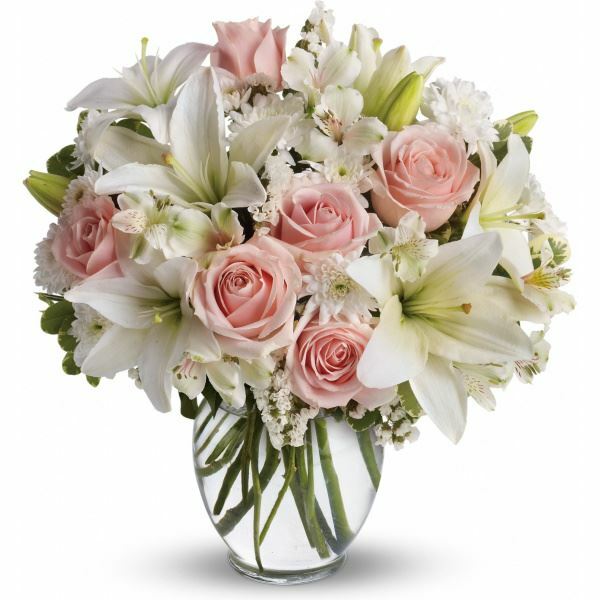 Provide comfort for the family of Betty Ann (Orebaugh) Fulmer by sending flowers. I had just talked to Aunt Betty Ann last week when Sherryl McClain had given her a new perm....she was in such great spirits.....she will be missed. Heartfelt Sympathies Store purchased flowers for the family of Betty Fulmer.